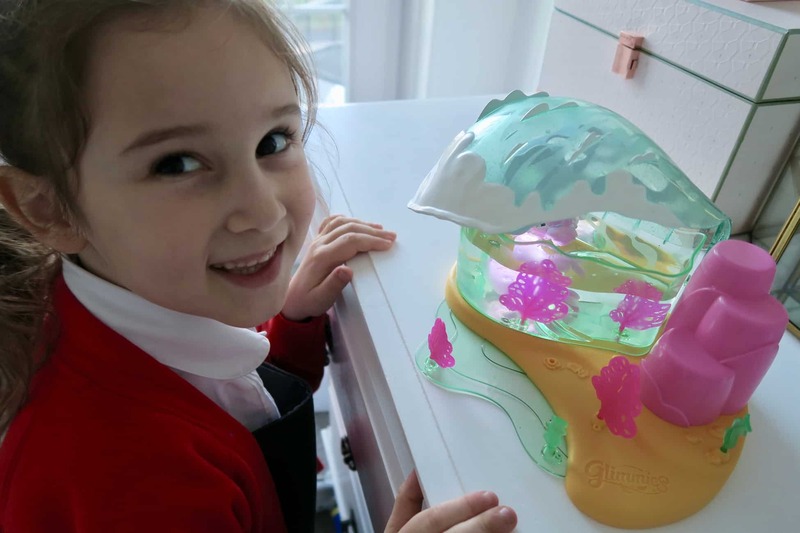 Little Miss J absolutely loves anything magical and she absolutely loves these new Glimmies from Flair that we have been sent to review. These are really cute magical creatures that live in Aquaria, an underwater village in Glimmies world. 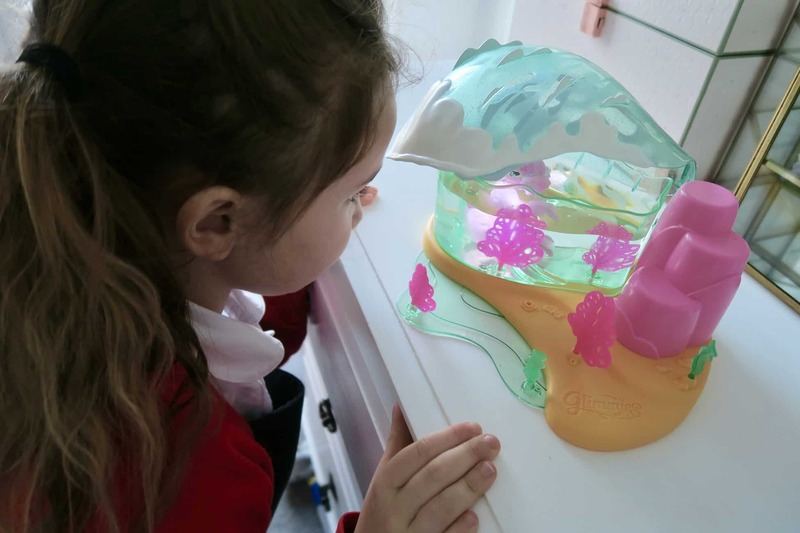 The Glimmies Aquaria GlimSplash was really easy to set up, you can add pink and green seaweed and just fill it up with water and it’s ready for your little Glimmies! My youngest two had lots of fun popping the Glimmies in and out of the water and watching them light up in different colours. 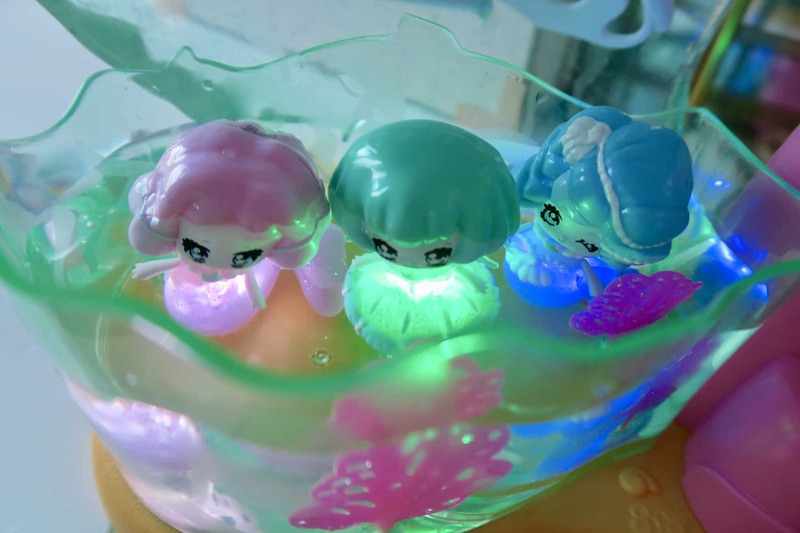 They are water activated and light up when they are in water. Their light goes out when they come out of the water. It’s such a magical effect and not only did Little Miss J (7) absolutely love them, Little Boy (3) was fascinated with them too! 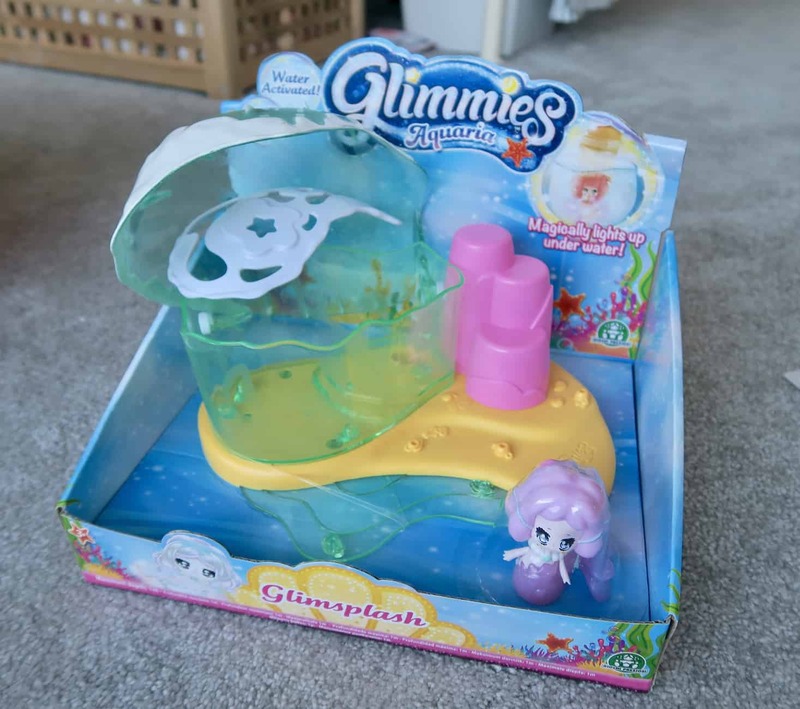 You can collect all the Glimmies Aquaria and create a lovely enchanted underwater world. There are 17 Glimmies Aquaria to collect across the range! We even took them into the bath to play with in a dimmed out bathroom. 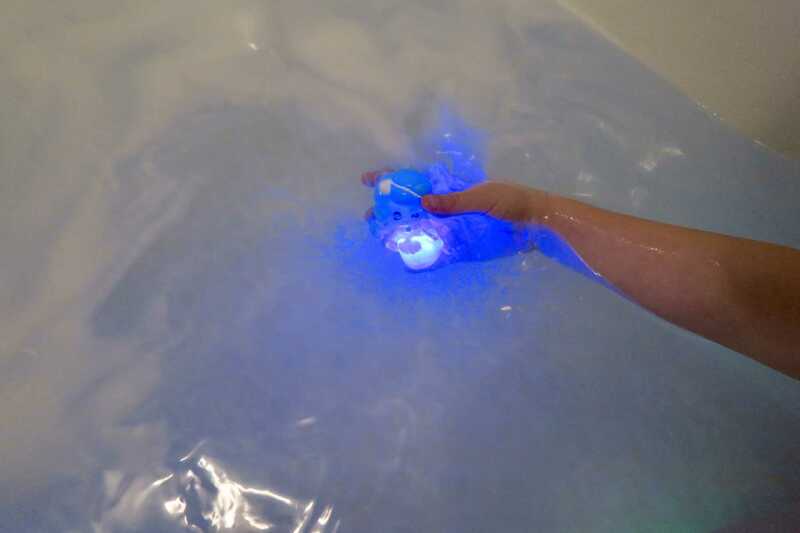 It gave us a really magical and fun bathtime with an added sensory experience from the light up lights. These would make such a wonderful present and a lovely thing to collect. Disclosure – we were gifted these products for the purpose of this review. 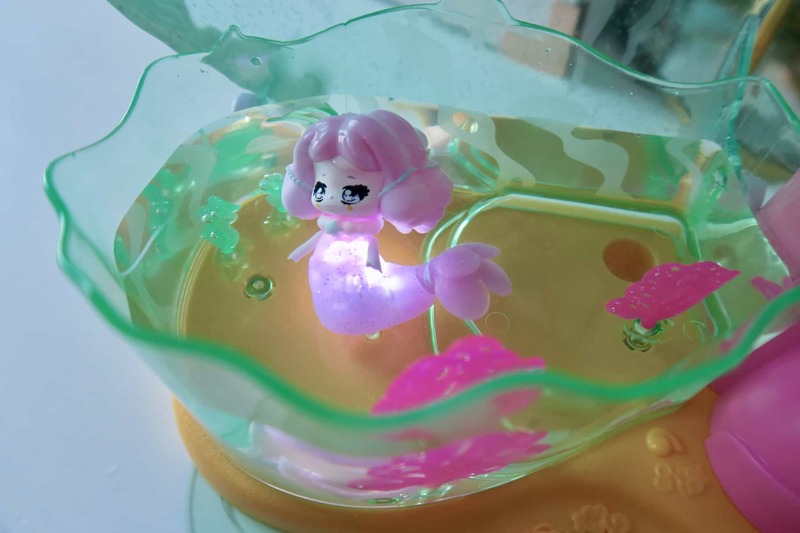 so fab that they can go in the bath and light up – my daughter would be a big fan! Oh how cool are they! I love that they light up in the bath tub what a cool idea is that! I love that you can play with them in the water! It’s definitely a toy that the kids will appreciate. 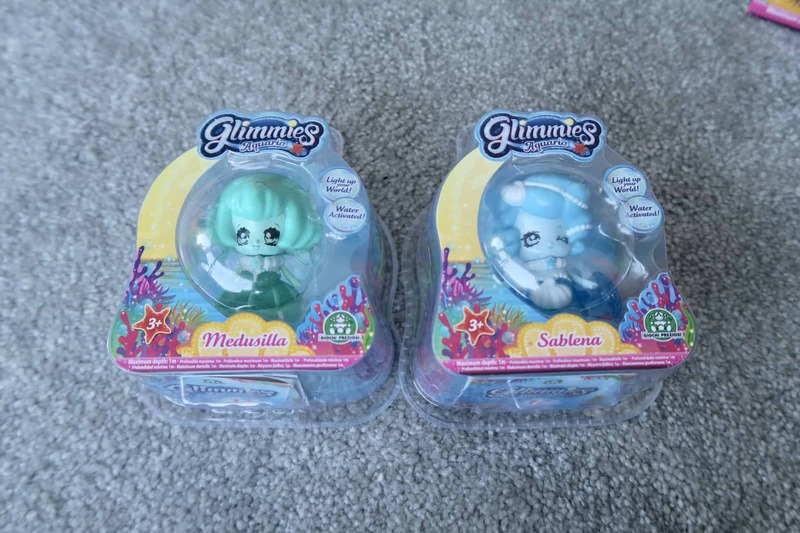 I’m sure my youngest will enjoy having these adorable mermaids! My Goddaughter would love these! Such a cute, fun bath toy! Even as a grown-up I would like these! These are so cute, what a wonderful idea. Lovely that they actually go in the water, afterall there is something rather fab about toys that can actually actually go in water! I can see these bringing hours of fun for many. oh these are so cute and i can imaging my daughters wanting them all!! These look amazing and reasonably priced too! My kids would love this especially since they light up and glow. These look like such cute toys. My nieces would love them! I love these! always see them in the shop and want to buy them for Lily. I love how they light up.